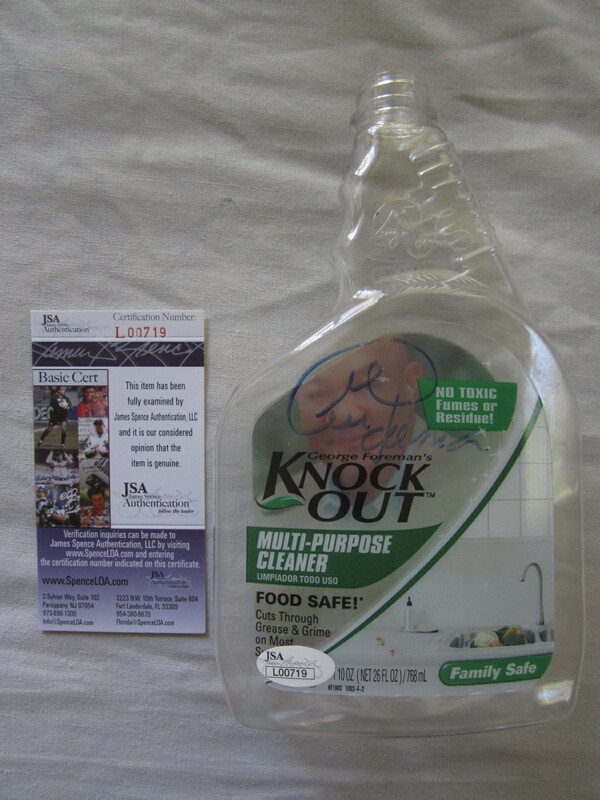 Knock Out cleaner empty clear plastic spray bottle autographed in blue marker by former heavyweight champion George Foreman. Obtained in person, authenticated by JSA, with their matching numbered sticker on the bottle and certificate of authenticity card. ONLY 2 AVAILABLE FOR SALE.